We’re halfway through the first season of John Logan’s love letter to Victorian sensationalism, and Penny Dreadful has firmly established itself as one of the best new genre shows around. As a lifelong student and fan of the literary form and various characters Penny Dreadful has repurposed, I anticipated the premiere with a mix of huge excitement and anxiety that it could potentially be an unholy mess. Remember the doomed League of Extraordinary Gentlemen film? But those fears turned out to be unfounded as it was a riotous, blood-spattered romp throughout. 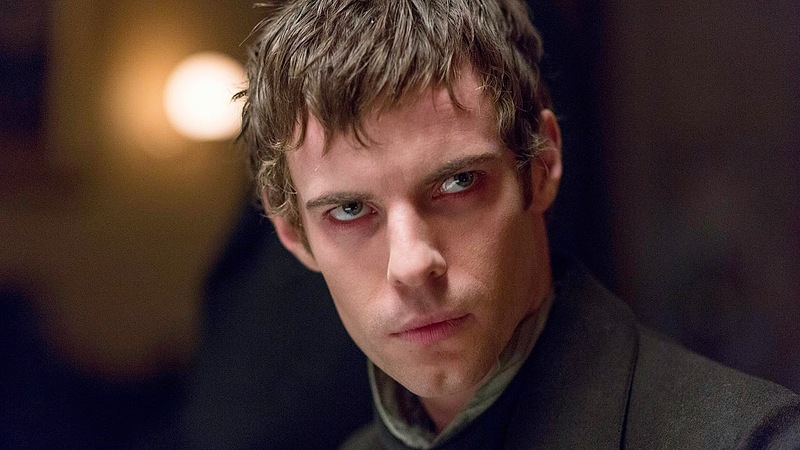 Or rather, until the closing few minutes when Harry Treadaway and Alex Price elevated it to something truly jaw-dropping as Victor Frankenstein and his creation, Proteus. While much of the violence, symbolism and foreshadowing in Penny Dreadful is as unsubtle and lurid as its namesake suggests, the ‘birth’ of Proteus is a thing of quiet, restrained beauty and all the more shocking and terrifying for it. We have the obligatory lightning strike, but the resulting animation of Victor’s creature is cloaked darkness and silence. The slow reveal – Victor lighting the lamp and turning to find his creation vanished – is a master class in suspense. Treadaway conveys terror so acutely that the viewer can practically taste his panic. The first glimpse of Proteus, pallid, naked, and scarred, lurking in the shadows, is heart-stopping and the tension as he stumbles towards his maker, eyes wide and bloodshot, almost unbearable. But then comes a surprising shift, as the new-born creature reaches out, wipes a tear from the cheek of the petrified and awestruck Frankenstein, and smiles. The intimacy and tenderness between Victor and his creation packs an emotional punch far greater than could ever be expected from two characters who have shared barely a minute of screen time, and this is testament to the strong writing and to these fine actors. 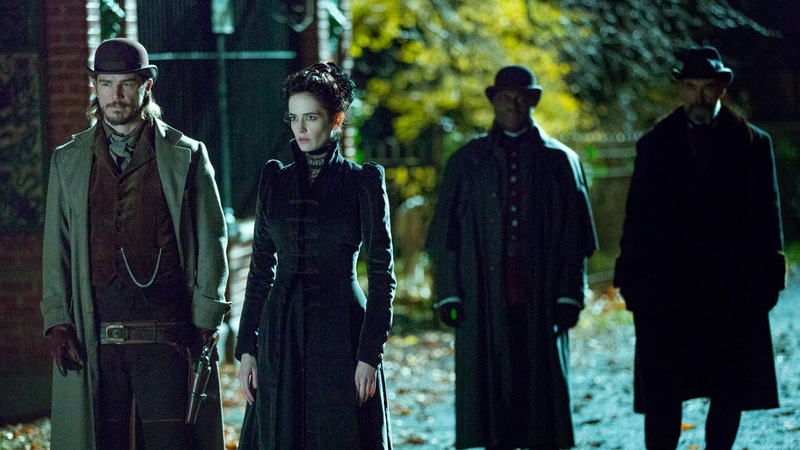 Penny Dreadful takes its time unpacking its literary origins. Established characters are introduced by way of references which serve as a knowing wink to fans of the original texts, or name-dropped only after we’ve spent quite some time with them. Logan’s Victor is a Romantic, spouting Wordsworth, Keats, and (in a nice ‘meta’ touch) Shelley, and seeking a cure for the ugly indignity of death. This Frankenstein retains something of the arrogance exhibited by Mary Shelley’s creation, but is a much more sympathetic character from the outset, seemingly driven by loneliness and the desire to create and nurture life. This is demonstrated in the gorgeous montage of Victor taking Proteus out into the streets of London for the first time, letting him explore with a child’s sense of wonder and patiently guiding him through the sensuous experience, and then again in flashback when we see the death of young Victor’s beloved mother. While we come to empathise with Shelley’s Frankenstein gradually through the culmination of losses he suffers at the hand of his monster, we feel for Logan’s young doctor almost immediately. We feel for his gentle creation and their burgeoning kinship, so when the genial and very human Proteus is literally ripped apart by Victor’s estranged ‘firstborn’ (Rory Kinnear) in the second episode, it really is gut-wrenching stuff. But Victor Frankenstein is not the only one stalked by past transgressions. 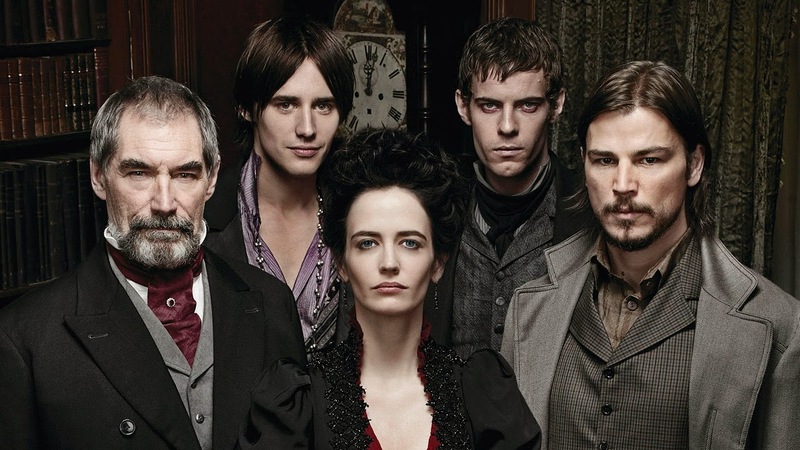 Everyone in Penny Dreadful is burdened by terrible secrets. The beautiful and mysterious Vanessa Ives (Eva Green) has the ability to channel spirits as demonstrated in an extraordinary eight minute monologue during Madame Kali’s séance at the house of magnificently campy Egyptologist Ferdinand Lyle. Of all the characters we’ve met so far, Ives seems most comfortable walking the blurred line between the world of the dead and that of the living, the mundane and the supernatural. She is also potentially the most dangerous. In a spine-chilling performance surely worthy of an Emmy, Green’s Vanessa becomes possessed, and drags the various entities of the ‘demimonde’ literally kicking and screaming out of the shadows and into the parlour of polite society. As well as revealing her own strange abilities, the séance unearths some dark implications concerning Vanessa’s companion and patron, Sir Malcolm Murray (a brilliantly hammy Timothy Dalton), his dead son, Peter, and his missing daughter, Mina – she of Dracula fame. As with Frankenstein, Logan’s version of Mina Murray is a reimagining of her literary namesake. In Stoker’s novel, it is Jonathan Harker, her fiancé, who is absent at the outset, held in thrall by his vampire employer. In Penny Dreadful, Mina is the one seemingly held captive by a band of blood-drinkers and their master, but the familiar trope is given a twist here with the introduction of hieroglyphics carved under the skin of the vampires and the mention of conjoined, demonic Egyptian gods, capable of bringing about the apocalypse. Perhaps we are headed for a vampire origins story reminiscent of Akasha and Enkil – Those Who Must Be Kept – in Anne Rice’s Queen of the Damned? 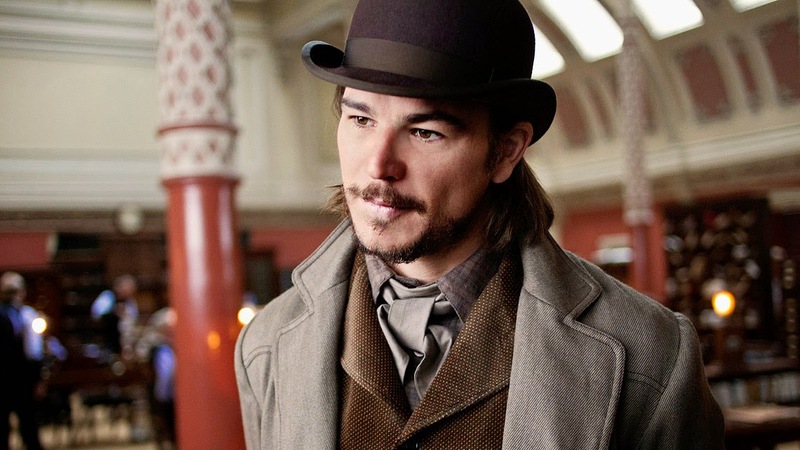 Vanessa and Sir Malcolm’s hired gun, ex-carnival sharp-shooter, Ethan Chandler (Josh Hartnett) is another man with a dark past. Increasingly disturbed by the Ripper-esque murders gripping the city, driven to drink by the sight of a terrier shaking rats apart in an illicit gambling den, and repulsed by the torture of the vampire boy, Fenton, it seems Ethan is harbouring a beastly secret of his own. His refusal to give blood for Victor’s experimental cure, his apparent dominion over the wolves at the zoo and the subject matter of the play at the Grand Guignol all seem to hint at him being some kind of werewolf or shape shifter. But Logan is deft at throwing curveballs, so perhaps were are being wrong-footed? Take, for example, the arguably most surprising development in Ethan’s arc so far, his seduction by Dorian Grey (Reeve Carney). Shunned by the consumptive Brona (a very likable albeit strangely accented Billie Piper), he ends up sipping absinthe with the ever-youthful and alluring aesthete. In a scene which perfectly depicts the decadent beauty and despair of Wilde’s fin de siècle, the two men discuss art and artifice until Ethan, fuelled by the green fairy and Wagner’s evocative strains, moves to choke and silence Dorian but ends up kissing him instead. Hartnett and Carney turn in lovely performances here. The sense of ennui and longing for something more is palpable, as is the cautious sexual tension between the two men. Maybe this unexpected dalliance serves to underline the potency of Dorian’s own particular brand of poisonous magnetism. Just as the rare orchids and nightshade in the hothouse cast a spell over Vanessa Ives, so too does Dorian with his dazzling array of perfumes and sumptuous wardrobe. Brona also succumbs to his charms, although for her perhaps it’s his disregard for her disease (something interestingly shared by Ethan) which draws her in. Brona is, by her own admission, a dead woman walking. I can’t help but suspect she is destined for Victor’s slab and an afterlife as the bride of his creature. Penny Dreadful takes a melting pot of characters both familiar and new, and entwines their individual tales together to create something greater than the sum of its parts. It embroils its subjects in this murky, claustrophobic-feeling nether-London, as illustrated perfectly by the scene at the Grand Guignol. Here the gothic preoccupation with surveillance is prevalent. In the cheap seats, Ethan watches Brona who watches the actors with a rapt smile. Frankenstein’s monster watches the audience from the backstage shadows. Dorian and Vanessa watch each other from their boxes. And the mysterious Sembene (Danny Sapani), his expression chillingly impassive even when strangling cats for vampire-fodder, observes them from his vantage point at the back of the theatre. And, of course, we watch them all. The show’s stunning open title sequence features images of exotic, deadly spiders, and our players move about this liminal space – half light and half shade – weaving their own web of seduction and intrigue. Each has their own agenda. Each has their own appetites. Some, such as Sembene, have yet to really be explored at all. The viewer cannot be sure who is the most dangerous and who the most vulnerable. Who is human and who is ‘other’. At this point in the season, hints of jealousy and betrayal are starting to crack the veneer of Victorian formality. Attachments are being formed and alliances broken. While Sir Malcolm feels Vanessa, with her cruel streak, is the daughter he deserves, Victor is clearly the replacement son he craves. While Ethan can hold his own in the gilded homes of Ms. Ives and Dorian Grey, Brona’s shame and lack of social status drives a wedge between them. While Victor strives to cheat death, Dorian seems to actively court it. As we delve into the second half of the season, with upcoming appearances from David Warner as Van Helsing and the always superb Anna Chancellor as Claire Ives, we can expect this rich tapestry of characters and stories to become even more complex and thrilling. It remains to be seen whether there is enough mileage in the various mysteries and twists on familiar tales to sustain the show through to a compelling second season, and whether some of the less rounded characters will be fully fleshed out. But with such lush visuals and delicious performances in the offing, I’m happy to gorge myself on this exquisite banquet for some time to come. This entry was posted in Uncategorized and tagged dorian grey, dracula, drama, frankenstein, horror, penny dreadful, review, TV, vampires, victorian. Bookmark the permalink.